Better Boulder supports enabling responsible housing cooperatives in Boulder. We believe co-ops have a modest but worthwhile part to play in meeting Boulder’s affordable housing and sustainability goals. Housing co-ops are shared homes in which a group of people choose to operate as a collaborative household. Co-op members share household expenses for things like food, rent, and utilities, and organize themselves to cook meals, clean, maintain the property and in some cases provide childcare. In order to ensure the household functions smoothly, co-ops have explicit group decision-making processes and house rules. The three legal, permanently affordable housing cooperatives owned by the Boulder Housing Coalition have existed for more than 30 years combined (note: from a current land use code point of view, they are considered multi-unit housing, not cooperative housing units). Other cities such Madison, Wisconsin; Austin, Texas; and Berkeley, California all have long lived networks of housing cooperatives. 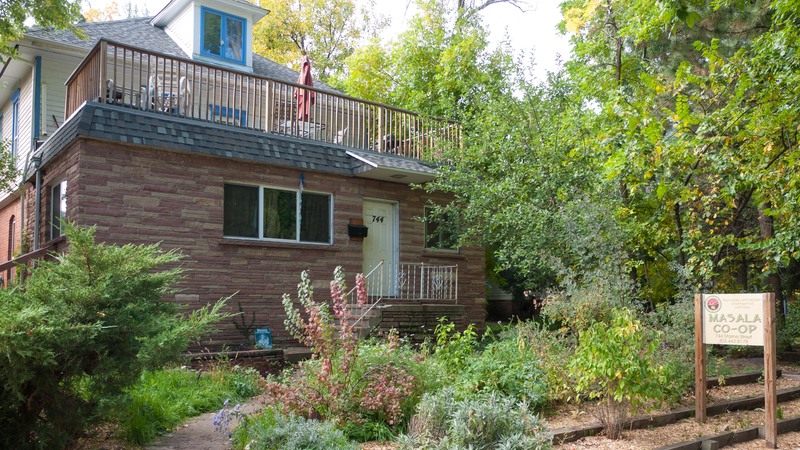 The Madison Community Cooperative system, which provides broader community housing, rather than focusing on students, is a particularly good example of what we might see in Boulder if we enable housing co-ops. Housing co-ops can make efficient use of existing single-family homes, and provide intrinsically affordable housing to vital members of our community who might otherwise be forced to commute into the city from elsewhere in the region. While housing cooperatives will not appeal to everyone, we believe they are a worthwhile tool for addressing Boulder’s high housing costs. Perhaps uniquely, they can create affordability without requiring either public subsidy or new construction. For instance, private equity cooperatives, in which the residents share ownership of the property they live in, would allow individuals to buy just a tenth of a home rather than an entire home, substantially lowering the financial barriers to owning one’s home in Boulder. Similarly, so long as rental cooperatives do not make up a significant portion of Boulder’s housing market, and additional occupancy is granted to the cooperative household, rather than being associated with a particular property, cooperative renters should have little to no impact on prevailing rents. At the same time, rental co-op members will be able to share their household costs amongst more residents, allowing them to live here more affordably. In some ways, the sharing that happens in a cooperative home embodies the reasons Better Boulder supports sustainable urbanism. Sharing allows the same household infrastructure to serve more individuals, reducing both costs and resource consumption on a per capita basis. Data collected by the Boulder Community Housing Association (BoCHA) suggest that existing Boulder co-ops use less than half as much electricity, natural gas, and water per person as the Colorado average. If some neighbors have concerns about potential impacts from a nearby cooperative household, Better Boulder believes that when possible, those impacts should be addressed directly through enforcement of existing ordinances governing noise and appropriate property maintenance, rather than indirectly by restricting what types of living arrangements are deemed appropriate within a household. For things like increased traffic and reduced on-street parking availability, we may need to develop new tools to mitigate neighborhood impacts. At the same time, we must remain cognizant of the fact that our streets are public rights of way, held in the public trust for all users. If neighborhood parking requires management, we would prefer that the management scheme apply equitably to all users of our streets. And allowing more people to share housing in a co-op almost certainly reduces total traffic impacts, as it will allow more people to live closer to where they work, rather than having to commute in. We note that cooperative housing units are already defined within Boulder’s land use code (section 9-6-3(b)). The existing code includes many restrictions intended to mitigate potential negative impacts of shared households. That ordinance started out as a much more workable proposal, but it became increasingly restrictive as it moved through the political process in the mid 1990s. As a result, the existing code has also precluded all of the positive affordability and sustainability impacts of co-ops, as it has proved so onerous that it has never been used. Similarly, existing regulations governing accessory dwelling units (ADUs) have been overly conservative, and reduced the benefits we might otherwise have seen from creating more of that type of modest housing. Going forward, Better Boulder believes the city needs to do a better job of balancing the desire to avoid possible negative outcomes with the potential to enable positive outcomes. Within their niche, housing cooperatives can serve the city’s affordable housing and sustainability goals extremely well, but they are not likely to be a broad solution. Looking beyond co-ops, it is important to remember that there are thousands of less well organized Boulder residents living in violation of the city’s occupancy limits. Many of them are good neighbors. Those who cannot afford to live in Boulder without sharing housing do not deserve to live in fear of losing that housing. We hope that enabling cooperative housing will be a positive first step toward regulating external impacts rather than the types of living arrangements that exist within a private home.